To celebrate Global Biotechnology Week (September 20-27) and the New Brunswick bioscience community, BioNB is pleased to recognize one individual or organization’s outstanding contributions with the 2017 New Brunswick Bioscience Achievement Award. The award recognizes those who have made outstanding contributions to the growth and promotion of bioscience in the province of New Brunswick. Over the summer, nominations were submitted and two individuals and two companies have been selected as nominees. The winner will be announced at Innovation at the Market, a special event hosted by BioNB on September 21. This annual networking event, now in its sixth year, is attended by over 100 guests and dignitaries in the bioscience community. Dr. Murray McLaughlin: Dr. Murray McLaughlin is a world-renowned leader in the development of the global bioeconomy and a true champion for bioscience development in New Brunswick. Raised in Oromocto, Murray earned his PhD from Cornell University and embarked on a career in agricultural research in the U.S. and Canada. He has previously served as founding president of AgWest Bio, Deputy Minister for Aagriculture with the Government of Saskatchewan, and Executive Director of Bioindustrial Innovation Canada. 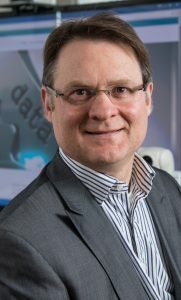 A proud New Brunswicker, Murray has been an active board member and past Chairman of the Board for BioNB, connecting the provincial bioscience community to national and international networks. Dr. McLaughlin was named one of the Top 100 Global Leaders in the Advanced Bioeconomy at the Biofuels Digest Conference in Washington in 2016, and received the 2017 International Award from the Chemical Institute of Canada. SomaDetect: In just over a year, SomaDetect has grown from an idea to a product being used by dairy farmers across North America to solve a significant industry problem. Founded by Bethany Deshpande and based in Fredericton with six staff, SomaDetect sells hardware and software that provides dairy farmers with the information they need to produce the highest quality milk possible. In 2017, SomaDetect was a finalist in the NBIF Breakthru Competition, the winner of the Fierce Founders Bootcamp in Ontario and winner of the Ag Innovation Showcase in St. Louis. 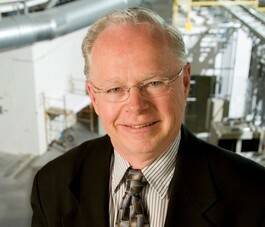 Dr. Chris Baker: Dr. Baker is CEO of IPSNP Computing. Based on Dr. Baker’s research, IPSNP has developed a data query platform named HYDRA, which provides decision support to managers based on integrated access to analytical software and enterprise databases. HYDRA’s data analysis is highly efficient and of much lower cost than existing data aggregation tools. HYDRA was successfully tested in a U.S. hospital for the clinical surveillance of sepsis and is in trials for use in agriculture. Dr. Baker’s career has spanned both industry and academia, in the UK, Austria, Canada and Singapore. He is currently professor and chair of the Department of Computer Science at the University of New Brunswick in Saint John. In 2016 Dr. Baker was a finalist for the Canadian Open Data Leader of the year. In 2017 he was invited as a speaker at the Annual Meeting of Agricultural Chief Scientists of G20 States (MACS-G20) on Linked Open Data in Agriculture. ADI Systems: Founded in 1989, ADI Systems has grown into one of the world’s leading providers of wastewater solutions for industry. ADI Systems focuses on anaerobic digestion, aerobic treatment, biogas treatment and utilization for green energy recovery and water reuse technologies. With over 260 customers in more than 35 countries, ADI Systems is a homegrown success story. In July 2017, ADI Systems was acquired by Pittsburgh-based Evoqua Water Technologies, the world’s largest provider of wastewater solutions. The winner of the NB Bioscience Achievement Award will be presented at Innovation at the Market, BioNB’s annual networking event.